Art Brenner, a prolific painter, sculptor, and scholarly writer, was born in New York City in 1924. He lived and worked in Paris for several decades until his death in Australia in 2013. Though best known for his sculptural work, and written essays and articles on the changing nature of sculpture in society, Brenner was also an astonishingly capable painter. His works created in the 1950s reflect the Abstract Expressionist movement of the time. Though clearly part of one oeuvre, his style is hard to pigeonhole. He clearly has a spatial sensibility to his canvases, but his color is careful, and unflinchingly unique. His works from that time are gestural, with controlled, but choppy swaths of color, whispering, interrupting each other, and creating a vibrant plane of conversation on the canvas. 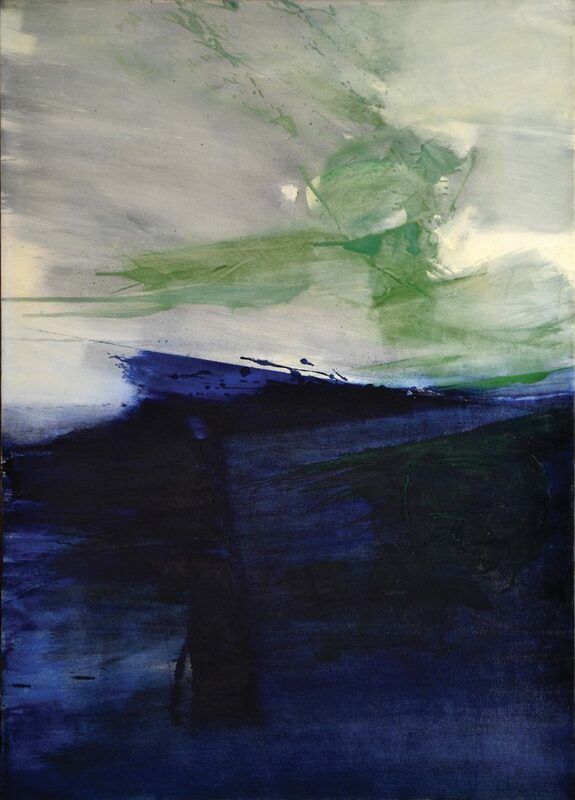 Though they are reminiscent of many other painters of the time, such as Joan Mitchell, Michael Goldberg, Norman Bluhm, Edward Dugmore, John Grillo and even Alma Thomas among others, Brenner brought a spatial awareness that was a departure point for his future years and life’s devotion to sculpture.